It is now possible to share your (public) reports from PowerBI.com with anyone over the internet for free (currently a free preview), without the need to manage licencing, logins etc (see demo below). Microsoft has been promising this feature for a couple of months now and the speed in which these new features continue to arrive continues to amaze. The official name for this new feature is Power BI Publish to Web. I think this is genius for 2 reasons. Sharing video files across the internet used to be a problem. Then YouTube came along and solved the problem (YouTube is now valued at up to $40B at the time of this post). Exactly the same is true for sharing interactive data analysis reports. Microsoft just solved this same problem for interactive reporting online with Power BI Public Story Telling. The second reason is it is marketing genius. In no time flat, people will be sharing reports on the web using this service (see my example below). This is going to make Power BI visible to an exponential increase in potential users. People will be saying “How did you do that”, “How can I do that” etc. 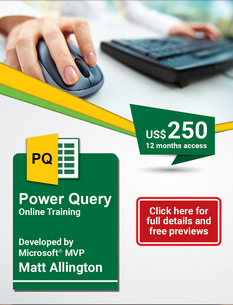 Mark my words, this will be the start of an exponential increase in awareness and demand for Power BI. 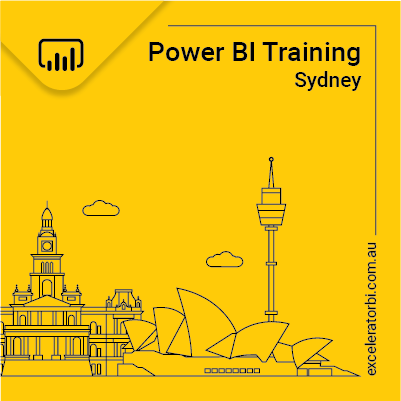 I decided to enter this contest as part of my community participation with Power BI. The competition was to enter your “best” Power BI report – a big ask when most people can’t share private data. I looked at what public data I had and decided to replicate a report I built for a client (A Business Driver Chart) to help understand what was driving its top line business results. And so here is a link to the demo using the new Public Story Telling service. You can read about how I did this further down this page. I tried to embed the service in this page (the one you are reading now) and it did work – sort of. Unfortunately the scaling and re-sizing of the report didn’t work very well (mainly the embedded images). This public story telling service is still in preview and some of these issues will be ironed out over time (that is what a free preview is all about after all). So instead of embedding the report as a smaller (poorly scaled) object on this page, I put the report on a full width page at the link above. Edit: 4 Feb ’15. I just got notification that I didn’t make the final 10, but that my entry impressed and will be included in the community PBI Showcase forum after the contest ends. Here is the YouTube video explaining how it works. Using the Power BI Public Story Telling service couldn’t be easier. You can do it with any report that you have loaded at PowerBI.com (you can’t do it from the desktop). Navigate to your report on PowerBI.com and then click FilePublish to Web. Acknowledge the warning message (that the data will be public) and then copy the code you need from the dialog (shown below). Use the code from above to insert the Public Story Telling service into any website, tweet, email or virtually any other way you want to share. Then click on the ellipsis (Shown as 1 below) and you can get a copy of the link or delete the link (2). Oh and did I mention this is all free (at least during the preview) shown in 3 below? At the end of the free preview? What will happen at the end preview is anyone’s guess. I hope Microsoft keeps this service free. As I mentioned above, I think the marketing benefits alone will justify this approach. But there is also the community good having such a service available for free. I am betting MS will keep it free, but let’s wait and see. Also I think this is a sign of things to come. Prior to this new functionality, it was not possible to share a report with anyone that did not have the same email address domain. It is common for people to want to share private reports with people on different email domains (ie share with contractors, partners etc). My assumption is that the work done here on the Power BI Public Story Telling service leaves Microsoft just a couple of steps away from allowing anyone to share private reports with people that have different email domains. Watch this space. Edit: 9th July ’16. Here are the measures I used to produce this visualisation if you want to see how I did it. Thanks Phil. We will see. One concern I had was that is isn’t “flashy” enough, and also that the test data is not realistic and hence there are none of those “ah ha” moments. But I can tell you from using this in production with real data that it really makes a difference (as you have also suggested). Edit: I just found out I didn’t make the top 10 but they said they liked it and will share it with the Community. I can’t believe you had time to write a full article since the official release less than 24 hours ago. I’ll give a try, as this is a significant distribution deficiency about powerbi. Sometimes opportunity knocks – you have a window to get something out early while everyone still wants to learn about it. And sometimes that lines up with things that I probably should do that I don’t really “want” to do :-). I do not see the menu samples , it is possible that is not available in all languages? Sorry, what do you mean by Menu Samples? Do you mean there is no “Publish to Web” in your language? I guess it is possible there may be a delay – not sure. I can see Microsoft offering a limited “public” sharing for free, but “private” sharing for a price. I agree Tom. I think “private” sharing will be a pro feature and hence not free. If ‘private’ sharing does become available (even at a price), do you think the person accessing the webpage will be able to download the underlying data? Can they already, regardless of whether it is “public” or “private” sharing? Great presentation and great blog. I can’t believe how awesome this is already and how much better it will no doubt become ! If MS does make “download” an option, I would be shocked if you couldn’t turn it off. I guess if enough people ask for it then it may happen. Personally I think they will keep it thin and prevent download. It could be a 500MB data model behind the report, or even a direct query server – so interactive download would not be possible anyway. just having a go to see how it work. It’s brilliant !!! Sharing the report is so easy and it appears to work for me relatively well. So cool to see the same dashboard on my desktop, tablet and mobile phone. This is awesome! I’m not sure how it’s meant to work but I’ve made a change to the report (yes I save), but the link doesn’t display the latest visualization. I’ve even manually went in the report section in File, Publish to web and manually copy/paste into a new browser and still nothing. I feel like the link is static and display always the same thing regardless what actually happen with the report in PowerBI. I hope I’m missing the obvious, but did anyone test how refresh behave and what was your result? Interesting Eric. Have you tried generating a new link and comparing the link and the actual report with the original? You can see the links from the settings menu as shown above. I would be interested to hear. Yes, I try but discover that the link is static. I now believe that the link get craetd on the first time you go through the process you describe above. Interestingly, when I woke up this morning the page was displaying the update information. This give me a hint that it would be a timing issue. I then made another tiny change (just change graph type, nothing fancy but I’m mainly testing the capacity of this new functionality), save and see how long it would take. 1 hour, that’s how long it took to see the new content. If this is the case for everyone (could anyone else confirm if this happen to them also), public story telling service is great to share but when frequent refresh are required the service might fall short to be the go to solution. That actually makes sense because the default refresh is 1 hour (to my knowledge). Hi Taylor, I have just added a spreadsheet at the end of this blog post that contains all the measures in my visualisation. Hope that helps. Would it be possible to share the pbix file ? or at lest explain how did you make the visuals in the green boxes ? The green boxes are made up of 1) green box shapes, 2) icon images I found, 3) cards to show the measures, 4) KPIs with states (custom visual) to show the growth including the colour indicating direction and 5) a sparkline custom visual to show the trend direction.